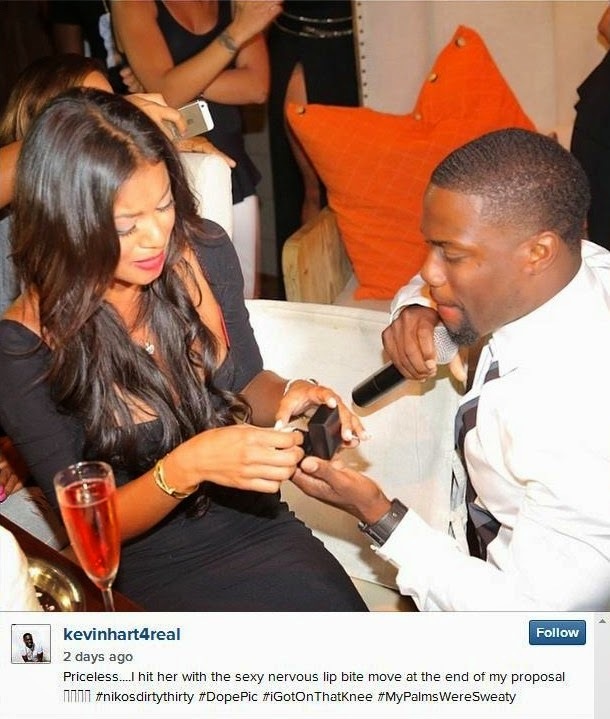 When news broke that Kevin Hart proposed to his longtime girlfriend Eniko last night, people had all types of things to say. 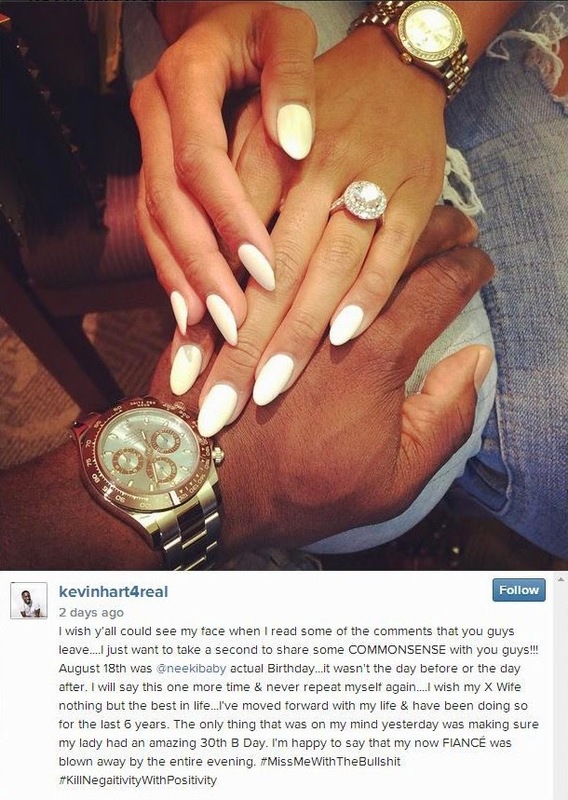 that Kevin proposed to Eniko last night specially because it was the night “Atlanta Exes” premiered. And as many of you well know, the new VH1 reality show follows the ex wives and girlfriends of famous men in the industry. And Torrei Hart, Kevin’s ex wife, is on the show. Folks were wondering if he proposed on this night to… I don’t know rub salt in Torrei’s wounds, send a message that he really is over her…who knows. 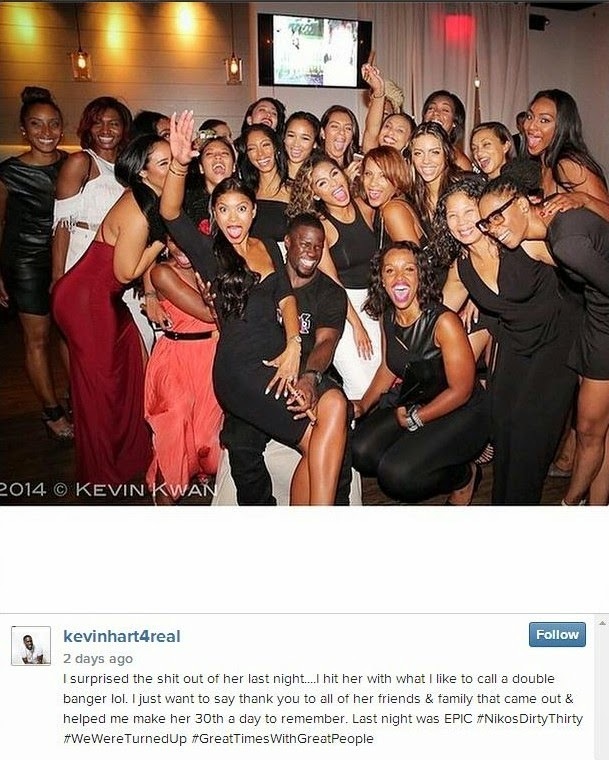 Either way, Kevin got wind of the comments and he took to his Instagram page, to offer a bit of clarification.